How to Avoid Carer's Stress Jan 11, 2019 However much a carer likes or loves the person being cared for, the emotional and physical demands of the role can be stressful. Sometimes, it is easy to fo..
( 25/09/2013 ) A: Hello June, Yes our aged counseling course is designed to meet a global audience. The course does not have a time frame set to it. It is 100 hours of self paced study. As far as I can see, this particular course is assessed by assignments only. Yes your course will come with all the materials you need to complete your course. You can submit your assignments whichever is most convenient for you. If you prefer sending them in by post, then that is fine, as is emailing them to us. This particular course has a total of 9 assignments. This accredited Level 3 Caring Elderly Care course online covers international standards of care. Unfortunately we often hear these days, of our older generation's fears and needs being ignored or misunderstood. This may happen because those involved in the care of older people have never studied Gerontology - the scientific study of old age, the aging process and the problems older people face. This course will help you develop the ability to understand the psychological problems associated with getting old, so that you can effectively counsel older people, including counselling those suffering from the early stages of dementia and other diseases. You will also be able to help relatives understand the issues, enabling them to deal with situations better. support an older person. Expand your knowledge and skills for professional development, or to better help those around you. Whatever your reasons, you won't be sorry you took this course. As a person gets older things change in their life - everything from lifestyle to health and their capacity to do things, through to those activities which they choose to pursue. Ageing is the gradual, biological impairment of usual functioning. These changes have a direct impact on the ability of organs such as the heart, kidney and lungs and biological systems such as the reproductive and digestive systems, which affect the person as a whole. To discuss theories of aging, and to develop an understanding of the different stages of human development. Develop a strategy for counseling an elderly person who has lost a loved one. Osteoarthritis, Rheumatoid Arthritis, Gout, etc. Exercise, Diet, Nutrition, Eating habits, etc. Common Risks for Elderly: Risk of Falling, Vision, Hearing, Nutrition, Sexuality. Communication, Daily Activities, Sleeping Difficulties, Hallucinations and Delusions, Wandering, Depression, Terminal Illness: Patients Response, Anxiety, Depression, Guilt & Anger, Defense Mechanisms. 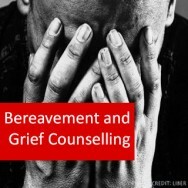 Counseling Strategies: Bibliotherapy, Use of Rituals, Bereavement Support Groups. There are a wide range of other professionals whose services may be called upon by the elderly. An older person will usually be referred to an occupational therapist by their doctor. The occupational therapist may visit the person’s house to see how it can be altered to suit the person better. Hydrotherapy: exercise sessions in heated water that can help to lessen pain and improve mobility. Advice on how to minimise the impact of conditions, such as arthritis on a person’s lifestyle and work. demonstrating to the person relaxation techniques aimed at reducing stress and muscle tension, which can help alleviate conditions such as arthritis. The advice of their doctor is sought. The practitioner is reliable. Do they belong to an organisation that sets standards? 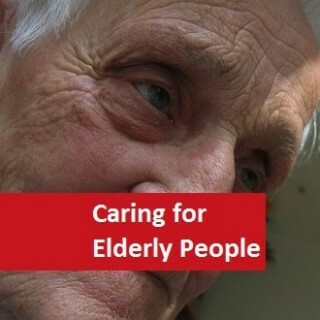 They are experienced in working with people with the elderly person’s condition. The client does not stop taking medication or stop any other treatments. 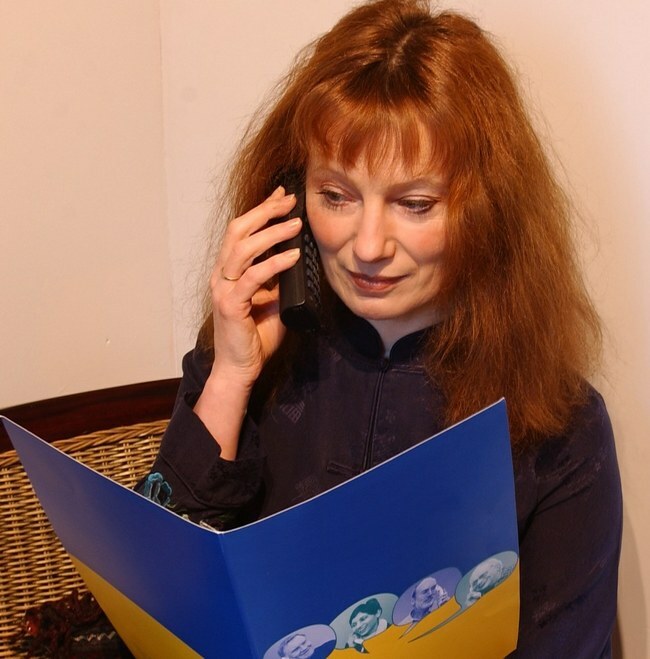 There are professionals who are involved in helping older people to continue to communicate. For example, older people may be reluctant to use a hearing aid. Perhaps they are reluctant to accept the physical effects of ageing or are concerned about the stigma of deafness. Modern hearing aids are very much improved compared to a few decades ago. They may not return hearing to normal, but they will help a person substantially. Alexander Technique: This is a way of teaching people to stand better in order to improve their posture and to move more efficiently. In so doing, a favourable alignment of the head, neck, and back can be developed and maintained to reduce unnecessary bodily stress. It can be used to alleviate pain and to promote rehabilitation. Aromatherapy: Involves the burning of essential oils from trees, plants and flowers, and is considered to be soothing and relaxing. It can be combined with bathing, but is usually combined with massage. Chiropractic: This involves manipulation of the bones and muscles to improve mobility and reduce pain, by adjusting the joints in the spine and limbs where there are signs of restricted movement. The spine is of particular focus because disorders are considered to emerge from the nervous system. This is not recommended for people with inflamed joints or osteoporosis. Homeopathy: This is a system of remedies based on giving people very small amounts of a substance that in larger amounts can produce symptoms similar to the condition that is being treated. In other words, some diseases can be cured by administering minute doses of the disease to stimulate the body’s own defence mechanisms. Osteopathy: Osteopathy involves physical manipulation of bones and muscles to restore normal action to the body and reduce pain. This is also not recommended for people with osteoporosis or inflamed joints. Reflexology: This is massage which uses pressure to stimulate certain reflex zones of the feet, hands or head which are thought to improve the health of various organs of the body, or to promote general well being. Yoga: This involves using a combination of relaxation, breathing techniques and exercise to combat stress and help movement and circulation to the joints. Acupuncture: Acupuncture involves inserting the tips of needles along the energy lines of the body, which are thought to stimulate the energy flow and reduce pain by restoring a healthy balance of energy. Herbalism: This is the use of plants and herbal remedies to treat illness. Counsellors: Counsellors provide guidance for clients and a support system, rather than working with the deeper levels of the psyche. However, there are other therapists who work with people with difficulties. Psychoanalyst: This is someone who has been trained in the theory and techniques of psychoanalysis. Initially they may have been trained as a physician, psychiatric social worker or psychologist. However, it is possible for people from many different backgrounds to train to be a psychoanalyst. Their training will involve several years of personal analysis. Psychoanalysis is the term used to describe Freud’s set of theories about human behaviour and the form of treatment of mental disorders he devised. However, psychoanalysis has developed considerably since Freud’s time. A psychotherapist is a practitioner of psychotherapy. S/he is usually a psychiatrist, a clinical psychologist or a psychiatric social worker. Psychotherapy is the use of psychological techniques to treat psychological disturbances. The four main forms of psychotherapy are behavioural, cognitive, humanistic and psychoanalysis. There are many variations of the four approaches. 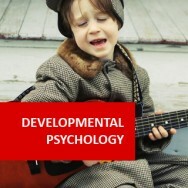 A clinical psychologist is a practitioner of clinical psychology. They may also be psychotherapists, but this is not essential. They may work in hospitals or clinics or may have a private practice. Clinical psychology is the branch of psychology concerned with the application of psychological theory and research to the treatment and diagnosis of mental, emotional and behavioural problems. A Psychiatrist is a person who specialises in psychiatry. Psychiatry is the branch of medicine that covers mental illness. The subject matter of psychiatry overlaps to a great extent with clinical psychology, the main difference being in the training of the psychiatrist and the clinical psychologist. A psychiatrist has no training in psychology, other than psychopathology and uses the medical model to deal with mental disorders. The clinical psychologist is not medically trained, cannot prescribe drugs and tends to view normal and abnormal behaviour as on the same continuum. Counselling means different things to different people. It is not a get well quick option, offering quick answers, but is asking the person to engage in a process and an exploration. There are many definitions of counselling. A simple version is that counselling is a working relationship where the client is helped to explore and manage what is happening in their life by making changes. It is a form of psychological or talking therapy that offers people the ability to change how they live and feel. The aim of counselling is to provide the client with a more satisfying experience of life. Everyone has different needs, so counselling can be concerned with many different aspects of a person’s life. They may wish to undertake traditional counselling or prefer online or telephone counselling. Counselling can help them to retain their self-sufficiency, build better relationships and help them to make and act on their choices. The role of the counsellor is to facilitate the person’s resolution of these issues, whilst respect their values, personal resources, culture and capacity for choice. Counselling can provide people with a regular time and space to talk about their problems and explore difficult feelings in a confidential and dependable environment. Counsellors do not usually offer advice, but instead give insight into the client’s feelings and behaviour and help the client change their behaviour if necessary. They do this by listening to what the client has to say and commenting on it from a professional perspective. 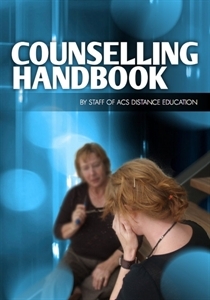 Counselling covers a wide spectrum from the highly trained counsellor to someone who uses counselling skills as part of their role, for example, a nurse or teacher. Many people provide counselling skills in their daily lives. However, sometimes it may be inappropriate for an individual to use their usual methods of support. They may not want to discuss their problems with a friend or family member. They may feel that the person is too close, that they do not want them to know their confidential problems. Indeed, the person they would usually confide in might be part of the problem. Hence, they may prefer to seek the services of a counsellor. 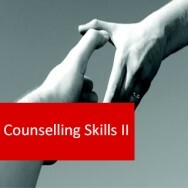 Counsellors are trained to be effective helpers in difficult or sensitive situations. They should be independent, neutral and professional, as well as respecting of privacy. Counselling can help people to clarify their problems, identify changes they would like to make, get a fresh perspective, consider other options and look at the impact that life events have made on their emotional wellbeing. Counselling can help people to come to terms with specific issues. It works best if the client enters counselling of their own free will. 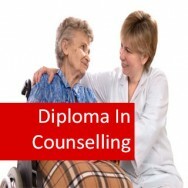 Counselling is a specific arrangement between the counsellor and the client. It is not about making judgements. A place where the client is able to share difficult feelings in an accepting atmosphere.